Valentines Day Salad. Italian Classic Caprese Salad With Heart Formed Mozzarella, Basil And Tomatoes Served On Plate. Above View. Copy Space. Lizenzfreie Fotos, Bilder Und Stock Fotografie. Image 114631680. Standard-Bild - Valentines Day salad. Italian classic caprese salad with heart formed mozzarella, basil and tomatoes served on plate. Above view. Copy space. Valentines Day salad. 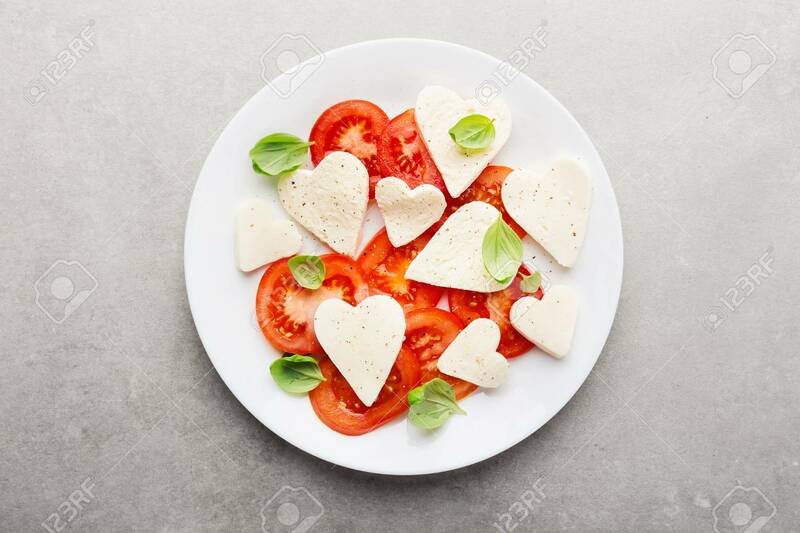 Italian classic caprese salad with heart formed mozzarella, basil and tomatoes served on plate. Above view. Copy space.